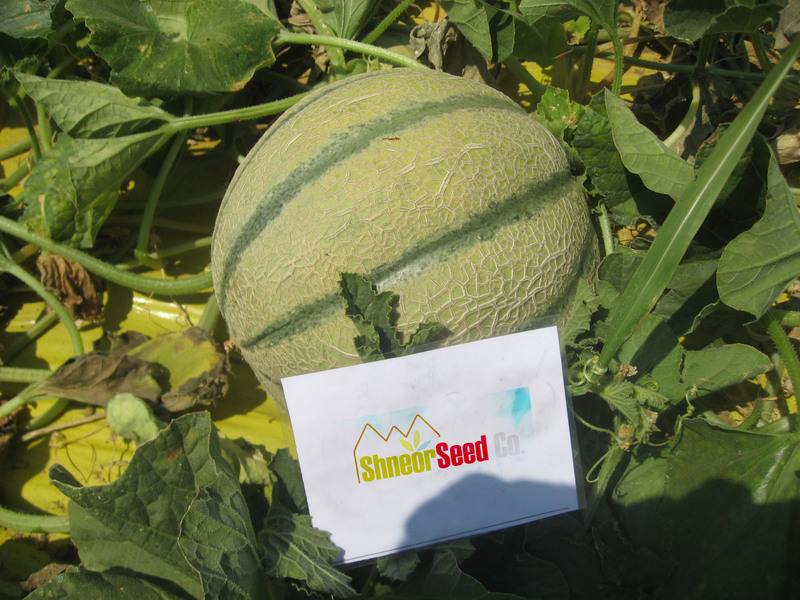 Melon | Shneor Seed Co. Relative maturity: Medium, harvest 45 days from flowering. 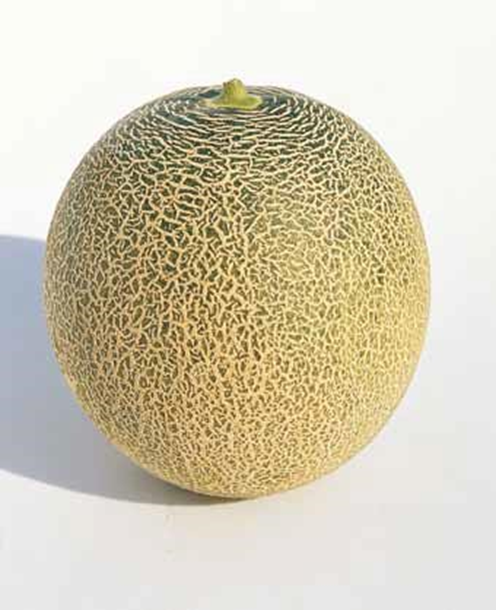 Fruit weight: 1.2-1.6 kg Fruit shape: Deep-glob-e to short-oblong Flesh: Deep Orange, thick, juicy and sweet. sugar content of 13-14%. Resistance: Resistant to F-0. Features: Strongly netted, very small core. 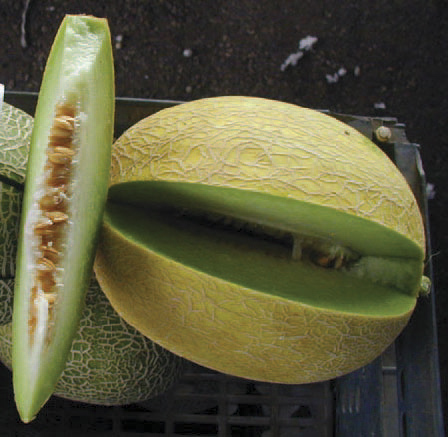 Hybrid F1, Honey Dew type. 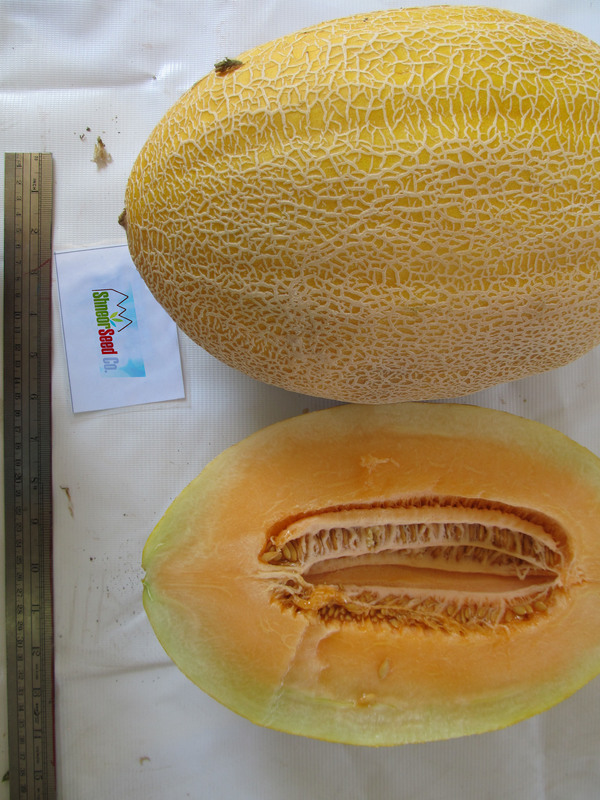 Fruit weight: 1.5 - 2.5 kg.Rind color: smooth light skin,occasionally netted.Flesh: light green, very thick, small cavity, high sugar content of 14-17% ,more fragrance and sweetness five days after harvesting.Fruit size can be smaller at lower temperatures. 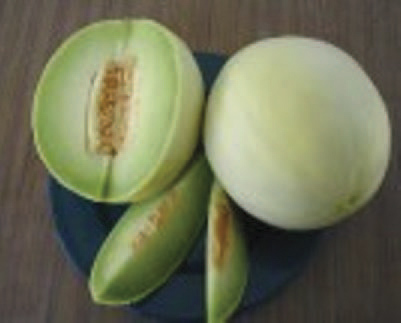 Galia type hybrid. Very early, very high yield. Especially adapted to high temperatures. Recommanded for early marketing. Suitable for outdoor and greenhouse production. Fruit shape is flattened globe. 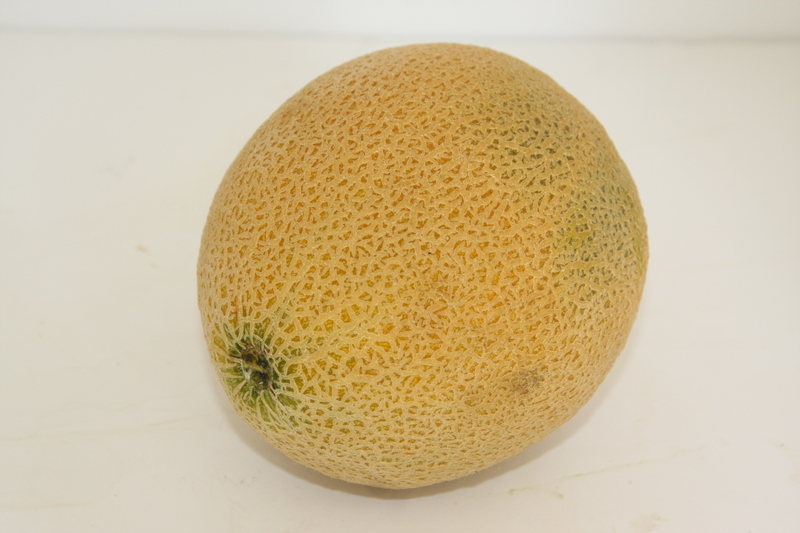 Rind is yellow-orange with good netting. Flesh is thick and has excellent flavor, aroma and sweetness. Weights 1.2-2 kg. Suitable for shipping. Resistant to PM1. 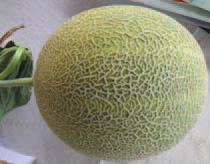 Suitable for outdoor and greenhouse production, Fruit weight 1.5 - 2.5 kg. Rind color: yellow. Flesh: white, thick, soft, juicy and aromatic, very sweet, sugar content of 13-16%, Suitable for shipping. Early in maturity. High yield. Suitable for outdoor and greenhouse production. 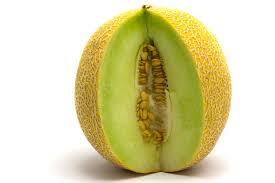 Fruit has thick, light green flesh, with excelent flavor, aroma, and sweetness. fruit shape is round. 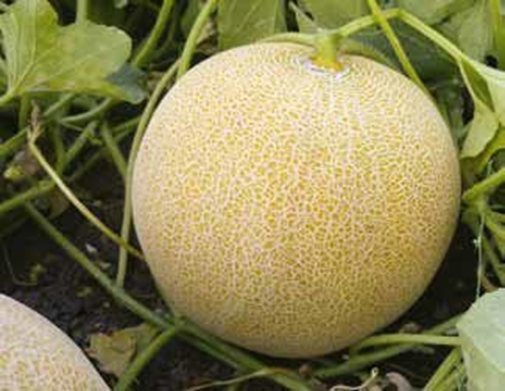 Rind is yellow-orange with medium netting. Weights 1-1.4 kg. Suitable for shipping. Resist PM. Galia type hybrid. Slightly earlier in maturity. High yield. Suitable for outdoor and greenhouse production. 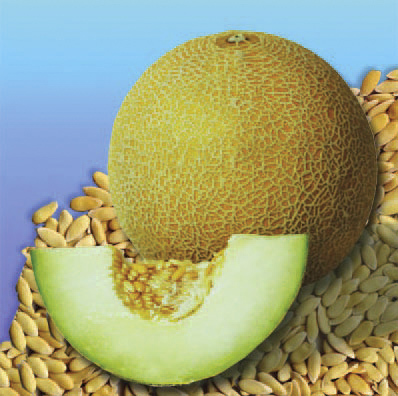 Fruit has thick, light green flesh, with excelent flavor, aroma, and sweetness. fruit shape is round. 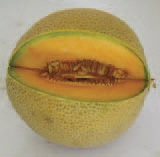 Rind is yellow-orange with medium netting. Weights 1-1.5 kg. Suitable for shipping. Resistance to F0, F1, PM1. 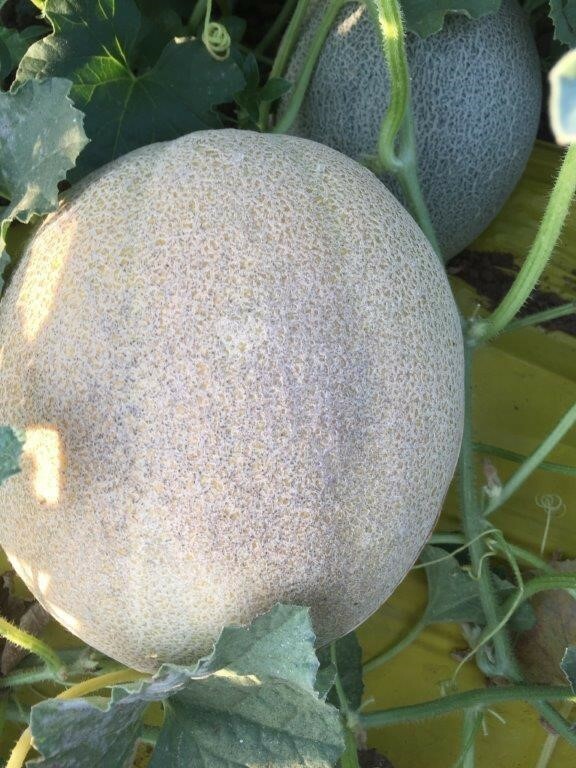 Can be harvested about 50days after flowering Fruit weight 1.5-2.5Kg Fruit shape : globe Rind color: smooth light ,veri thick,small cavity,high suger content of 14-17%,fragant and sweeter five days after harvesting.resistant to F0 fruit size can be samller at low temperature. Strong plant, nice fruit. 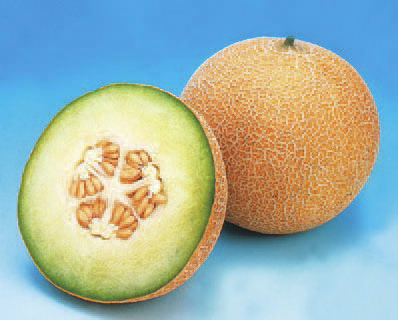 Melon galia type with orange flesh. Weight: 1.5 kg. Suitable for spring and summer cultivation. Relative maturity:Early,harvest 40-50 days from flowering.Fruit color:Orange , Fruit weight:1.8-2.7Kg ,Fruit shape:OvalFlash:Gr een,thick,soft,juicy and aromatic very sweet -sugar content of 12-15%Resistance:PM. Fruit weight: 2-4 kg. 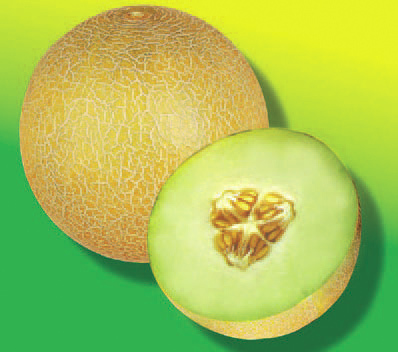 Fruit with a thick green fresh and an aromatic taste. Has a good keeping and transporting ability after harvest. 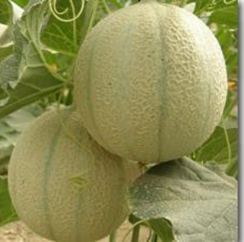 Netted melon which is vigorous plant and strong against disease. Matured in 50 days from transplanting time. relative maturity: early,harvest 40-50 days from flowering ,fruit weight: 1.5-2.1kg fruit shape: deep-globe to short oblong flesh:orange,thick,juicy and aromatic very sweet-sugar content of 12-15%features: rind color is gray-green with slightly yelow and scattered nets. good for storage and shipping. Fruit weight 1.6-2.3 kg. 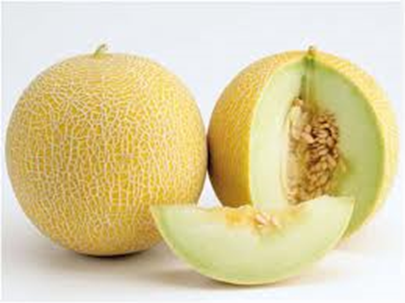 Rind color: gray green with slightly yellow and scattered netting. Flesh: orange, thick, juicy and sweet. Good for storage and shipping. Galia type. Recommended for greenhouse and open field cultivations, with evident netting and good shelf life. The plant is vigorous, with early cycle and good fruit setting. 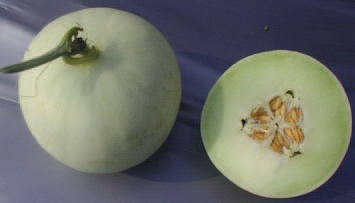 Fruit shape: round, very uniform. Color: golden yellow at full ripening. The flesh is light green, firm and thick, with very small seed cavity. Weight: 1.6-2.2 kg. High resistance to Fusarium oxysporum f.sp. melonis: Fom 0,1,2. Intermediate resistance to Powdery mildew (Px). 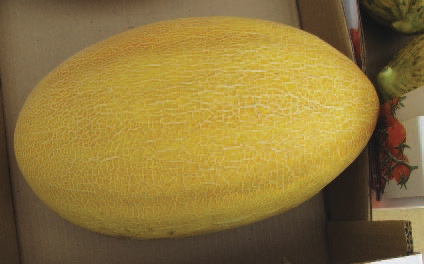 relative maturity: can be harvested about 40-50 days after flowering Fuit weight:1.2-2.5 kg, Fruit shape:Deepglobe, Flesh:Light green,very thick,high sugar content 13-17%, it is even more juicy,fragrant and sweeter five days after harvesting. Skin:Smooth light white skin that is occasionally netted. 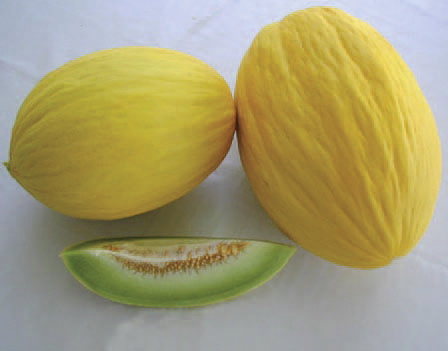 Relative maturity:Can be harvested about 40-50 days after flowering .Fruit weight:1.6- 2.5Kg ,Fruit shape:Deep-globe.Flesh:Light green ,very thick ,high sugar content of 13-16% 'it is even more juicy fragrent and sweeter five days after harvesting. Skin:Smooth light white skin that is occasionally netted. Good netting and very vigorous plant, andromonoecious flowering. The fruit has long shelf life: suitable for long shipping and export. Round shape. Fruit weight: 1-1.2 kg. Resistances: HR to Fom 0,1. IR to Px 1,2.